This morning’s teaching will be on patience…What’s the old saying about patience? I want patience and I want it now. Abram and Sarai should have been more patient. 10 years is a long time to wait for a child, even knowing that The LORD had promised Abram that he would have a child born from him and his wife Sarai to bring forth numerous descendants, to make of Abram a great nation, the nation of Israel. Abram and Sarai should have been more patient, though GOD’s plan for a great nation still succeeded in Abraham and Isaac. Noah was patient. He and his family waited seven days in the ark with the animals and their wonderful fragrances and commotion before The LORD GOD sent the waters of the flood upon the earth. They were patient. There may have been some doubt; after all, it never rained before the flood, but certainly Noah assured his family of GOD’s promise. Moses had patience. When he was called up into the mountain by GOD, for The LORD would give Moses tablets of stone and a Law, and Commandments which GOD had written for Moses to teach the people. And Moses went up into the mountain, and a cloud covered the mountain, and the glory of GOD remained on Mt. Sinai, and a cloud covered the mountain for six days, and on the seventh day, GOD called to Moses from inside the cloud, after his six day wait. And GOD spoke to Moses Face to face. Of course The LORD GOD is Yeshua Who spoke to Moses. Moses had patience. And then there is the patience of Job. Job endured punishing testing and tribulation. But after that grueling trial was over, The LORD blessed the latter end of Job’s life more than the first part; giving him greater then he ever had, and Job lived a hundred and forty years, and saw his sons and his sons’ sons even for four generations. In other words, they lived happily ever after. Job had patience, perhaps a better word is longsuffering. But in the end, he was blessed and rewarded greatly by GOD. So, let’s learn from GOD’s Word how we can make patience part of our lives and enjoy a better quality of life. First, we must believe all GOD’s promises He makes to us. We must always remember these Words, and believe them. Yeshua said, in your patience, possess ye your souls. I think Messiah means that when we have patience, we take control of our life rather than letting it spiral out of control into fear, and terror, and worries, and anger and doubt and distress and maybe even sickness and depression. But with patience; but with patience in The LORD, leaning on Him, believing all His promises for us, believing He loves us with an everlasting love, we can enjoy a better life with more joy and happiness in The LORD and with less illness and stress. Maybe no illness and stress. Let’s start with the promise GOD made to Abram. Of course Abram would need a child born from him and his wife Sarai to bring forth numerous offspring to make that great nation Israel. And The LORD promised Abram he would not only have a large number of descendants, but as many as there are stars in the sky. Here is perhaps the most important lesson to gaining patience in our lives. Believe GOD. Believe every word He speaks, and always obey Him, His Law of Moses and His Commandments. Believe in Hebrew is – Ahman – Meaning; Trust Him, Believe Him, Have Confidence in Him, Be Sure in Him, and Certain in GOD’S promises. What the LORD will do, He will do quickly or not so quickly or it may take some time. But He will do it. Believe on Him, Lean on Him and be patient in Him. Next lesson for patience. Expect and be sure and confident that The LORD will help you. Be certain in your heart that He will deliver and rescue you. Exalt – Room – He will Raise you up and you will be happy, you will laugh again, but you musy keep His Way. That is obeying His Law He gave to Moses. 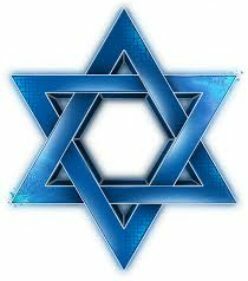 Peace – Shalom – Happiness, health, and Peace. God loves you. He will never leave you or forsake you, and that will never change. Gifts – Khar is mah – Gift, deliverance from trouble and danger. Instant in Prayer – Continually. Do not lean on your own understanding, which is doubt and fear and doom and gloom, but lean on The LORD and trust in Him. Understanding – Beenah – Knowledge. Don’t rely on your own knowledge or others to deliver you. That’s the job of the Lord God. Pray always and Lean on Him and Stay with Him. Acknowledge Him – Know what the Lord God wants of you, and do it. Trust – Bah takh – Hide for Refuge and Shelter and Protection. Be Confident in Him and be sure in Him. Let patience have her perfect work What does that mean? Verse 2 Being tested can only be joy when we know we are living a Godly and Holy life in Messiah, obeying Torah, knowing our patience will be broadened because of the test and knowing the LORD GOD will deliver us. Verse 3 Testing your faith – Accomplishes or produces patience. Verse 4 Perfect work. What does that mean? Patience is a work, a perfect work. It starts by believing in Messiah, then believing God and His promises to you, remaining obedient to Torah, and expecting His deliverance. Perfect and entire is Perfect and complete. Verse 7 As the farmer is patient waiting for his crops to grow, so should we be patient waiting and knowing the LORD GOD will deliver us. Your hearts – Mind, Thoughts. Believing every Word the LORD GOD speaks. Again, when we develop patience, we take control of our life, rather than letting our life spiral downward in fear, and gloom and worries and anger and maybe even illness and depression. But when we have patience, trusting in The LORD, leaning on Him, believing His promises, knowing and believing GOD loves you; there’s joy and happiness, confidence and peace. Our hlep comes from The LORD, because He loves you with an everlasting love. So, patience is a work. A perfect work. A learning process that must include The LORD your GOD. – First, you must believe in Messiah Yeshua. It all starts there. – Always obey GOD, His Law of Mose and His Commandments, always. – If you sin by breaking The Law, confess your sins and GOD will forgive you. – And lean on Him and trust Him with all your confidence, with all your heart. – Believe all GOD’s wonderful promises for you. Never doubt or question them. it may not, but know that He will deliver you. – Do not listen to your doom and gloom thoughts, but trust in The LORD Who delivers you from all your afflictions. – And always pray. Pray continually. Wait on The LORD and He will deliver you. Abraham was a special and unique person in the eyes of The LORD GOD. And that is certainly an act of God’s grace. And like all of us, whether we are Jewish or not Jewish, and love The LORD and obey Him and prove our love to Him by our obedience to His Law as Abraham did, it’s clear that the grace of God we all enjoy is for God’s purpose. And His purpose stands. It endures and continues because of God’s mercy and kindness. And it is God Himself who calls us. Certainly not because of anything we have done to earn it, but because it is the purpose of God according to election. His Election. Elect, by the way, as in God’s elect, means favorite. We are God’s favorite as Abraham was and is God’s favorite. And The LORD had made some staggering and extraordinary promises to Abram before he and his wife Sarai and those with him left for Canaan. One such promise was this. God had said, He would make of Abram a great nation. And that great nation would come from the people who descended from Abraham, the Jewish people; and that great nation was to be Israel. But at the time of this promise, Abram was childless. He was 75 years old and his wife Sarai was 65 years old. Yet God had said to Abram, He will make of him a great nation. Genesis 15.1-2 What will you give me seeing I am childless? He was no doubt referring to the exceeding great reward The Lord would give him. Steward – Perhaps the person in charge of Abram’s household and servants. Heir – inherit everything at his death including all God’s promises to Abram the great nation that would come from Abram. I don’t think Abram realized the enormity of God’s promise to make of him a great nation. That great nation today is Israel. Genesis 15.4-5 Question. Why was The Lord God interested in making a great nation from Abraham and his people? What was God’s purpose? God’s purpose, I believe, was to make this great nation Israel and her Jewish people His Chosen People and His Witnesses. And listen; and at a later time, The Lord would graft into that great nation Israel, that is join in with Israel and the Jewish people, a special and unique remnant of Non-Jewish People, called out by God, to also be God’s elect, and to be fully part of and fully equal to God’s Chosen People the Jewish people, and to be His witnesses as well. A special people created for The Lord. All of us being one in The Lord God, of course through Messiah Yeshua. However, The Lord God has requirements for His Chosen People, or else why would He choose us? Jeremiah 7.23, Micah 6.8, Matthew 11.29-30 His Yoke is the Torah, the Law of God. It has always been God’s purpose that all people and nations would serve Him according to His Word He gave to His Chosen People Israel according to His requirements. His Word and what He requires from us are found in The Bible. It’s not a secret. Sojourn – One who joins in with Israel in faith and obedience to God and His Word. Manner – The same standard of judgment according to Torah. I.e., the same ruling, law and sentence for the stranger that joins in with you, Israel in faith and obedience to Torah. God’s Covenant is found in Psalm 105.8-10. His Word and His Law he gave in the hand of Moses. One important requirement of God is His dietary laws, verse 3. John 15.16, Bring forth more fruit is being more obedient to the Lord God. The Apostles and Prophets and Yeshua the Messiah all obeyed Torah, God’s Law of Moses. Those Non Jewish People who join in with God’s Chosen People through faith in Messiah and obedience to Torah, receive all God’s blessings, promises, covenants. All His Spiritual blessings. And we, His Chosen People are also called to be God’s witnesses. A witness of God tells others about The Lord God and His Messiah Yeshua. What we know about The Lord from The Bible, from the very words of God and Messiah. Not necessarily from what we read in Bible commentaries because some are 100% wrong. Verse 6 The witness of God testifies of the One God and everything we know about Him from the Bible. His Redeemer the Messiah, The Lord of Hosts Who delivers us from our sins and remembers them no more. Verse 7 God has appointed us for a purpose. To witness the things that are to come. i.e., The end times, the return of the Messiah Yeshua, the Millennium, Heaven. From the beginning can mean, from the time we were chosen, or perhaps well in the past in eternity. The witness of God must have the Holy Spirit. And we are told in Acts 5.32 whom God gives His Holy Spirit to. God gives His Holy Spirit to them that obey Him. That is His Torah, The Law of Moses. As witnesses of The Lord God, we tell the truth from God’s Word. Yeshua is the Messiah, and we must walk humbly in submission to God’s Word. Not a place like Vegas with so many lights on the strip where we cannot see one star at night. But a dark place where the stars are bright in the night sky. What does it mean to believe in The Lord? The answer. We believe in God when we obey Him. Verse 12 Evil heart – One that sins deliberately, breaking the Law of God, His Torah. Departing from the Living God – Removing one’s self from the Lord, revolting against Him, desisting Him, that is disobeying Him. Deceitfulness or the lie of sin. Thus belief in the Lord god is obedience to Him. Unbelief is disobedience to Him. Thus not obeying God, His Law of Moses, is not believing Him. It is Biblical. Believing in God is loving Him and obeying Him. And being Righteous with God, or having His Righteousness, also requires obedience to The Lord and belief in Yeshua. Verse 24 Redemption – Deliverance from sin and eternal life in Heaven. Verse 31 Establish the Law – Make the Law of Moses part of your life, and obey it. The Chosen of God, The Jewish People and that special Remnant of Non-Jewish People are called because God loves us, and we are called to be His witnesses. To tell others the truth about God from the very words of God Himself in The Bible, and to tell others about the greatest gift of all, Yeshua Ha Mashiakh, Yeshua The Messiah. After these things, the Scripture says. After the armies of Babylon, Iran and Canaan defeated the armies of Sodom and Gomorrah and their allies, and after the victorious armies kidnapped Abram’s nephew Lot and his family, and after Abram rescued them, and after Abram and his 318 servants born in his house defeated and slaughtered those armies that kidnapped Lot and his family, and after Abram returned from the battle, or as the Bible says, After Abram returned from the slaughter, and after Abram met with Melchizedek, King of Righteousness and Priest of The Most High God, and after these things, the Word Of The Lord came to Abram in a vision. Now Webster’s Dictionary describes the word, Vision, as something seen, as if in a dream. Was it a dream in which Abram saw the Word Of The Lord? It’s difficult, if not impossible to know. But we do know this, Abram saw The Word Of God, and the Word Of God is Yeshua the Messiah, and Yeshua is God, and Yeshua appeared to Abraham. The Word Of The Lord is Yeshua, and Yeshua is God. Certainly, when Yeshua appeared the first time as the promised Messiah, He was fully God and fully human being. In the beginning in Hebrew is Beh ray sheet. The same Hebrew word used in Genesis 1.1. In Genesis 1.1, In the beginning means when the Lord God created the Heavens and the earth. In John 1.1, This word Beh ray sheet, In the beginning, goes much further back then the Creation. So, let’s try to explain “the beginning” which pertains to The Lord God Yeshua The Messiah. This is a Prophecy concerning the coming of Messiah Who has no beginning or end. Shall – A future word. Goings forth – Oo moe stah tyve – His origin or beginning. From of old – Mee keh dehm – From eternity, having no beginning or end. That can only apply to God. From everlasting – Oh lahm – Without beginning or end. Yeshua’s beginning is without beginning and without end. He has no beginning because He is God Almighty. He has always been and has always existed. In this Passage, The Lord God is speaking about wisdom, the wisdom of God. So, just as wisdom is from God and has always been with Him, so is Messiah, Who is God and has always been..
From everlasting – May O lahm – From eternity, having no beginning or no end. From the beginning – May rosh – Before everything and anything. Ever – Mee keh dehm – From eternity, having no beginning or end. Again, Yeshua the Messiah is God. He has no beginning or end. He is God. Though these words speak of Melchizedek, they speak of Messiah Yeshua Who is God and also Melchizedek. Without descent – No trace of birth, no genealogy. And He is The Word Of God. The Bible teaches that God is The Father, The Son and the Holy Spirit. Yeshua is not part of the Trinity, He is the Trinity. The Bible also teaches that the Father and Son speak to each other. The Tnakh, the Old Testament also speaks of The Lord sending the Lord. Verse 9 The Lord of Hosts has sent Me. After the Glory He has sent me – Meaning, God has sent Me. Verse 8 Spoiled you – Rob and devastate. Verse 9 They will be servants to Israel. The Lord is Yeshua Who is God, the Word Of God Who was sent by the Lord of Hosts . God El Gods Ehloheem The One God of Creation refers to Himself in the plural because He is the Father, Son and Holy spirit. The world teaches that GOD’s Word and His Law and Commandments are no longer in force. They have been abrogated, void, canceled. And mankind has changed GOD’s Laws to suit themselves. Let’s see what The Word of GOD, Yeshua The Messiah says about that. These are the Words of Yeshua, Jesus. God’s Word and Laws never change. They stand forever. These are the Words from Yeshua for all mankind. Yeshua is God and the Word of God. Obedience to God’s Laws is required, not only for a good life on earth, but also for eternal life. Yeshua taught The Word of GOD, and He teaches it today in The Bible; making most of man’s Scriptural teaching empty. The Word of GOD Who is Yeshua, teaches us this. Those who hear and do His Word, The Words of GOD which are His Torah, Law and Commandments, that person will be compared to a wise man. Those who reject The Word of GOD, His Torah, Law and Commandments, Yeshua compares him to a foolish man. Verse 24 Sayings – The Word of God. Those who hear and obey the Word of God, the Lord will cause to stand against the problems and troubles of life and not fall. And the Godly, those who believe on Messiah and obey God’s Torah, will never lose their salvation. Not so with the disobedient. They will fall. The Word of GOD, Yeshua, commands us to have mercy toward others, and be truthful and honest in everything we do or say. Having mercy and being honest is a Commandment of God. And then you will find kindness and good understanding, ie, having wisdom and being wise in the sight of God and man. Understanding in Hebrew is Saykhel – Wisdom, wise. Verse 16 Yeshua, Who is God and the Holy Spirit, lives in the Believer. And to defile the Temple of God means to deliberately disobey Him and His Word. Verse 10 Salvation in Hebrew is Yeshua meaning to be saved, delivered from our sins, gaining the victory over sin, and health. Grace in Hebrew is Kheh sed – Meaning loving kindness and favor. Verse 11 Signify – The Holy Spirit spoke to them about the Messiah. Sufferings – His atoning death. Paul taught The Word of GOD from The Bible. He taught The Word of GOD and His Law from T’Nakh the Old Testament. Remember, there was no New Testament in his day. Verse 37 Spiritual – Being of God, being of Yeshua. The Commandments of the Lord is the Law God gave to Moses. Verse 38 Ignorant means, One who does not understand or know the Word of God. Verse 20 Sup – Dine with you. I will come into him – The word hear comes from the Hebrew word Shma meaning to hear and obey God’s Word. Verse 21 Overcome – Having the victory over sin by obedience to Torah. When we obey Torah, The Law of Moses, we do not sin. That is overcoming. Sitting in His Throne is having eternal life with Him in Heaven. The last verse of Scripture in The Bible teaches us that Yeshua is GOD, The One GOD of Abraham, Isaac and Jacob. Fear not – Don’t worry about anything. To those who are like Abraham who have faith and obey God. Shield – Mah gayne – Protection. “I will always protect you and defend you”. Exceeding great reward – What greater reward is there then having all our sins forgiven and being in Heaven with the Lord our God forever. When we have faith in Yeshua The Messiah, Who is GOD and The Word of GOD and if we obey The Law He gave to Moses, we have all GOD’s protection, always, and we have The LORD GOD as our exceeding, great reward…yes, there are trials walking with Yeshua and obeying Torah, The Law of Moses. That’s for sure, for Jews and non-Jews alike. But the rewards are exceedingly great. They (the rewards) never end, even throughout eternity in Heaven. And we can have it all by believing that Yeshua is The Messiah and The One GOD of Abraham, Isaac and Jacob, and being obedient to The Law He gave to Moses for all mankind to do.